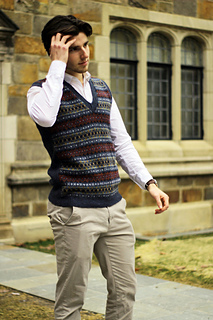 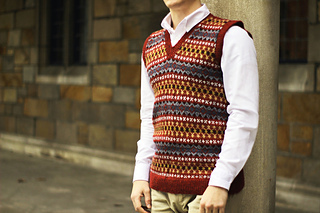 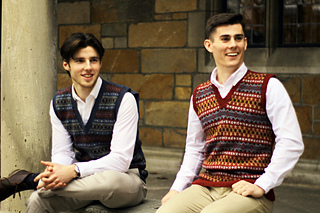 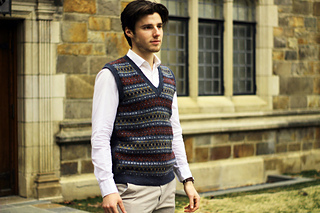 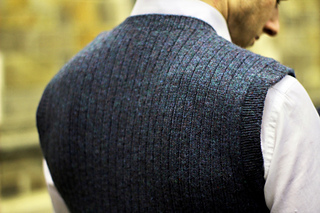 Millrace is a traditional Fair Isle vest with a twist. 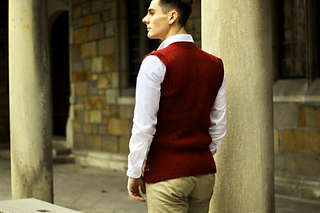 The front contains traditional patterning, created using 8 different colorways of flyWHEEL yarn by Harrisville Designs. 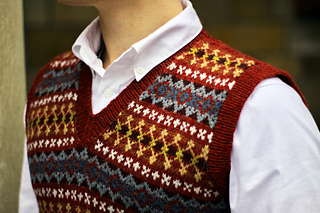 It is worked in the round and incorporates steeks. 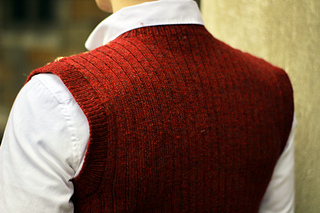 The back of the vest; however, is knit flat and is patterned with 3X1 ribbing allowing the vest to have a slimmer fit without being restricting. 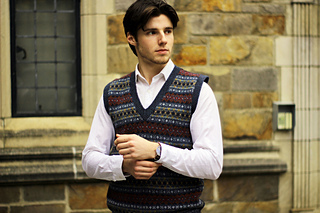 The flyWHEEL yarns have uniquely heathered colorways which work very well together and create a stunning effect when used in traditional Fair Isle stranded colorwork. 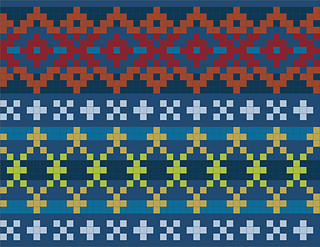 The colors work so well together that I created two different color combinations for this pattern. I have visited the mill and store and even visited their millrace – which is the inspiration for the naming of this pattern.